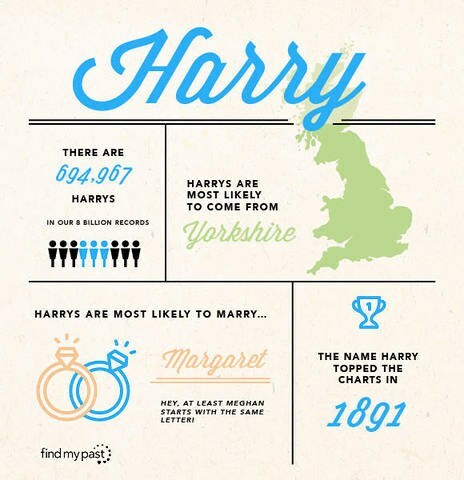 Do Harry and Meghan Live Up To Their Names? Using our "You Called Me What?!" 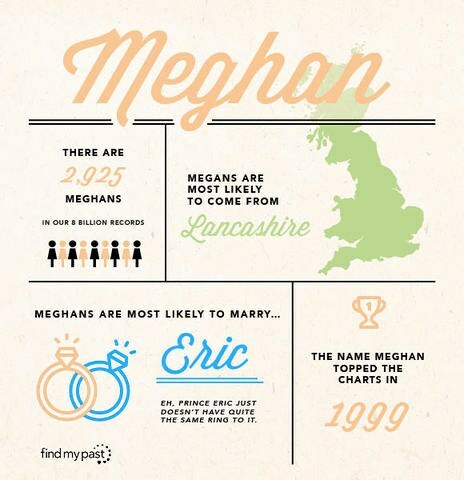 name analysis tool, we see if Prince Harry and Meghan Markle are indeed a match made in heaven. The results below seem to suggest otherwise... Anyway, moving swiftly on, using data sourced from civil registration records held by the GRO for England and Wales from 1837-2006, this name analysis shows what your name says about you, and how you stack up against those who share it. Find out what's in your name!